These three welding students at the PJC-Sulphur Springs Welding Shop are practicing (GTAW) high frequency aluminum welding. Behind the welding helmets are advanced welding students (from left) Erik Tussey and J.K. Stokes, and structural welding student Claton McBride — all from Sulphur Springs. 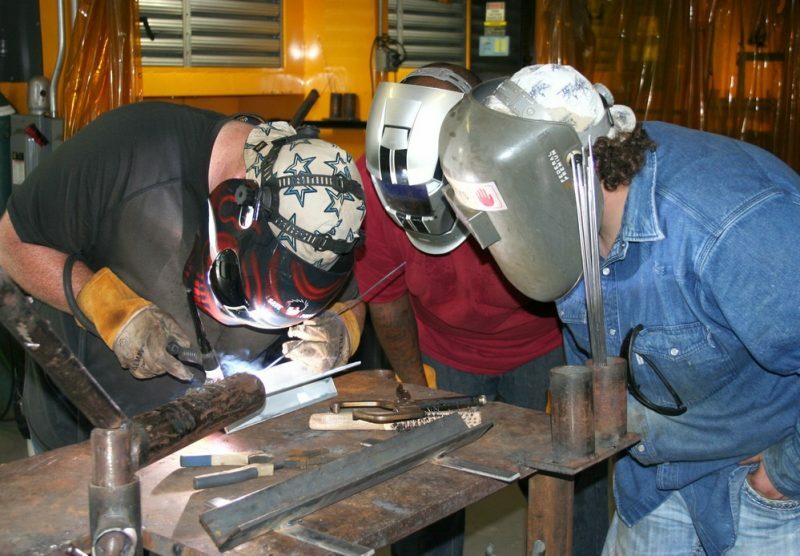 For information about the welding program and other classes offered at the PJC-Sulphur Springs Center call 903-885-1232.